Home - ATT , Cricket , News - Updated: Cricket Announces 4 Lines of Unlimited for $100, Starting Tomorrow. 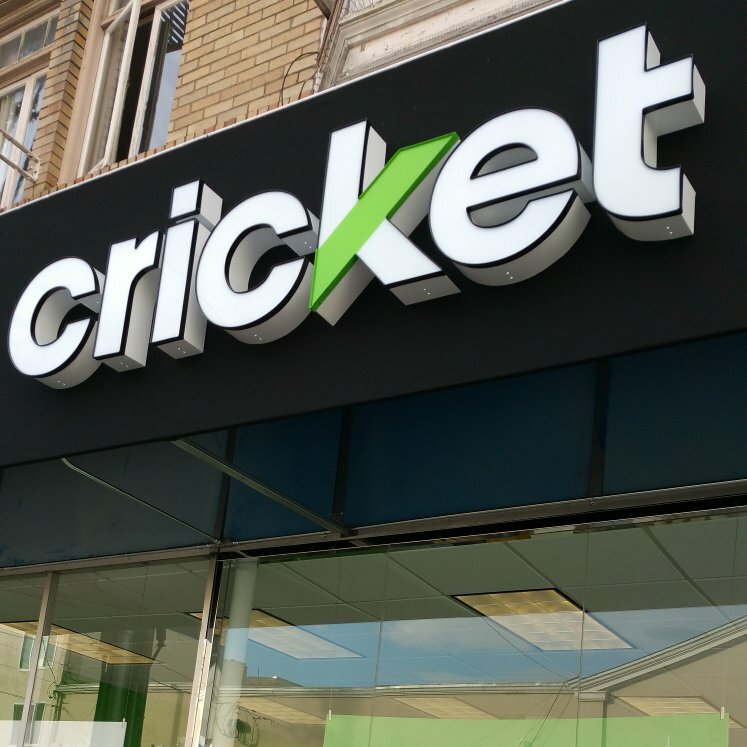 Updated: Cricket Announces 4 Lines of Unlimited for $100, Starting Tomorrow. AT&T's Cricket Wireless announced today that starting tomorrow, Dec. 1, Cricket customers will be able to get four lines of the $55 Unlimited 2 plan for $100/month. Currently 4 lines of unlimited 2 costs $130, so if you need 4 lines, this new offer is a good deal. The Unlimited 2 plan includes unlimited talk, messaging and "high speed" data that's throttled to 3 mbps. Video is throttled to "SD quality" (about 480p) and data is subject to deprioritization after 22 GB. The plan also includes unlimited Mexican and Canadian, talk, messaging and roaming. Hotspot is not included, but 8 GB of hotspot data can be added $10/month. This change comes less than a month after Cricket slashed its group discounts. Prior to Nov 5, Cricket had offered four or five lines of the $40 plan for $100. Effective November 5 four lines on that plan jumped to $110 and 5 lines to $130. Cricket's new Four Lines of Unlimited 2 for $100 offer seems designed to match current multi-line promotions from T-Mobile's MetroPCS and Sprint's Boost Mobile, both if which offer four lines with "unlimited" data for $100. Current Cricket customers are eligible for the new Four Lines of Unlimited for $100 offer but they must contact customer support and asked to be changed to the new plan. For current customers, the change to the new pricing will happen when their plan renews. At this moment, only four lines for $100 has been officially confirmed, there's no guarantee that Cricket will actually offer the other discounts listed above. Update 12/1: I've confirmed with with Cricket that the prices for 2, 3, 4 and 5 lines of Unlimited 2 as listed above are correct; 2 Lines $80, 3 Lines $90, 4 lines $100 and 5 lines $125. I thought that was already the price? Cricket has various "unlimited data" offerings. The old 5 for $100 plan you may be referring to included "unlimited data" that was severely throttled after 4 gigs. This one will be 22 gb's. AT&T either gimped their prepaid coverage, or they failed to make network improvements to cover increased congestion. Nowadays I get 5mbps at peak times on a Cat4 Gophone while a Cat4 Metro phone easily snags 100mbps. It'd be even worse with Cricket, which has noticeably worse coverage, speeds and priority. At this point, AT&T's prepaid network is a non-starter if you live near other people. They're basically Sprint-tier bad at this point. Not sure where you live, but that is far from the case where I live. Metro/T-Mob still has terrible penetration issues. Sprint is slow, gaps in coverage, and can't leave the metro. Verizon is still grossly overpriced and their network is now slow. I'll keep the Cricket for $35 a month flat with 5GB and a soft cap with no issues traveling across the Midwest. Not sure who you people are, but if you're trying to run every internet-capable device in your home off a prepaid cell phone, you're missing the point or you think you're smart and you are not. Anon 11:36 AM said "AT&T either gimped their prepaid coverage. " The rules here, which are obvious to anyone with decency or manners, include a prohibition on "Racist, sexist, ableist etc. comments." Your hate might fly on 4Chan, but not here. "Nowadays I get 5mbps at peak times on a Cat4 Gophone while a Cat4 Metro phone easily snags 100mbps." In about half of the US, you will get 0 Mbps on Metro, which is infinitely slower than the 8 Mbps on Cricket. Our 5 member Group Save plan is in Rural Alaska. Our local tower is connected to a fiber optic cable, so it's good and fast. 3 lines are on Basic and two on Unlimited (8mbps). We're grandfathered in, and everyone is happy except one of the Basics who's plan I neglected to bump up to a Smart. She needs to roam to Canada. Ok, enough background. if it turns out that we could all five go to Unlimited 2, I'm wondering if 3 Mbps is fast enough. We would be streaming Netflix, Amazon, etc., to 24" to 30" TV's. Is that enough bandwidth for a decent picture? I think the difference will be noticeable. Video on Unlimited 2 is throttled to approximately 1.5 mbps to force 480p quality. A VPN might get around the video throttling but inexpensive VPNs are slow and might not provide any improvement. I recommend investing $55 for a single line Unlimited 2 plan for one month to test video performance before moving your group to Unlimited 2. Good idea, Dennis. 'Cause, as you know, once we give up our grandfathered Group Save, there's no going back. Any way you could post a URL explaining VPN. Maybe just Wikipedia, eh? 3mbps, no deal for me. 3mbit....that has to be some kind of joke. The price should be a LOT lower for that speed, like 4 for $80. You're basically saving AT&T money from upgrading their network. I hope people keep porting to MetroPCS and Boost. This is one of the most anti-consumer plans in the industry. The only way this would be good is if you could buy only one line for $25. Unless you can buy a single line at $25, this is a huge slap in the face of people who can't make large groups or don't have family. A whopping $50 for one line of 3mbit service, but $100 for 4. ATT can't build up their capacity, so lets just make it slower for everyone. There should be protests outside Cricket stores. "There should be protests outside Cricket stores." Yes! Cricket is violating our civil rights. No justice, no peace! The defining struggle of the 21st century. If there's any justice in the world, all the NFL players this Sunday will take a knee during the wireless carrier commercials to protest Cricket's outrageous actions. We can keep this plan as long as we do not change it? Is 3mbps enough to simultaneously run Google Maps and Google Play while driving? It is kind sluggust for all the app you mention. I said it need to >6mbps for any graphic apps, 3mbps could be good for webpage with picture(s) but don’t aspect Youtube or Google Maps to run nicely. is everyone on the plan throttled after one person uses 22gbs or each line gets to use 22gbs? Thank you cricket for giving us the option of paying less for less speed or paying more for more speed. Makes sense. I wish every provider would give this option, similar to how home ISPs do it. It would be great to have the option of slow, medium or full speed someday, it would make it more affordable for alot of people. Haven't you gotten the memo? Cricket service isn't free, and we need to object until it is. US Mobile has started doing this as well. The current Group Save Discount for four lines is $50. No No No it’s $55 for the first line and $25 for each addl line. I just changed my sister to 5 lines on Unlimited 2 yesterday and the total was $155. You're right. I'd forgotten about that promotion. I'll correct the post. Throttled data really only makes sense from a QoS perspective during peak usage, which is only a few hours each day. Deprioritization is a much consumer friendlier option - there’s really no reason you shouldn’t get best effort the rest of the day. No reason except profit. If they encourage some customers to move to a more expensive monthly plan on AT&T mothership, in order to get higher speeds, they make more money. I suggest just merging, afterall, they are the same. And then, just give the full range of options as is now available. This way, if someone wishes to switch plan, they will not have to do this whole runaround. Cricket exists to gain more customers at a lower price point without hurting AT&T's ability to charge more for AT&T-branded plans. It's working, so AT&T is not going to consolidate the two brands. If you want better speeds and service, pay the extra money and get AT&T Prepaid.